Despite being the middle of summer in the lower 48, our trip along these waters was a lovely 50 something. My husband took numerous pictures of the glaciers, and this is only a small portion of this particular one. It was the most amazing sight, watching as portions of this huge hunk of ice broke and fell into the water. It’s an experience I hope I never forget. The sheer size of these is awesome, but they are just a speck in the palm of God’s mighty hand. Which makes us even smaller, and yet He knows the number of hairs on our heads, which changes daily, sometimes hourly. How magnificent is that kind of LOVE and attention to detail? Kay Singletary is the winner of a signed copy of Lee Tobin McClain’s Small-Town Nanny from her August 9th post, The Dogs of Romance. Trixi is the winner of her choice of books by Autumn Macarthur (excluding boxed sets) from her July 30th post, How God speaks to us. 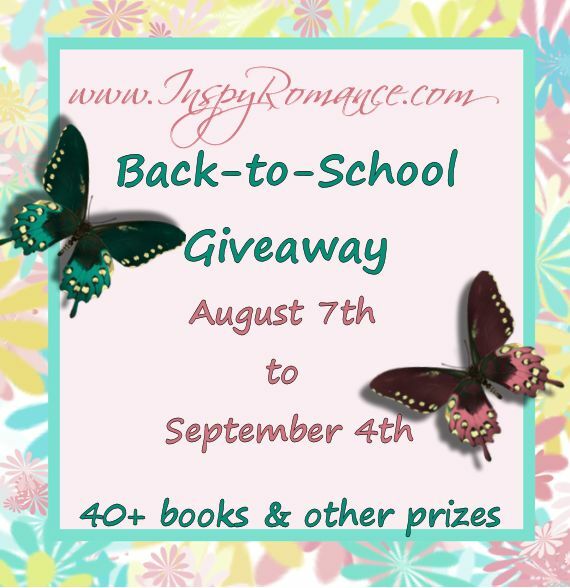 To see all the prizes, visit the Back-to-School Giveaway page. Thursday: Lynette Sowell – Where do you find your reads? Ah, yes. Seeing the Creator through His creation centers me. How can people cannot believe in God baffles me when they look at the intricacies of creation, humans especially. Beautiful picture and quite an interesting story–growing?! Just take look at the majestic mountains. God has truly crafted beauty. Not sure how there are those who think God doesn’t exist. Thanks for sharing the photo. Nature shows God’s majesty. Interesting that they are growing. You’re welcome, Diana. It’s nice to seem something COOL (pun intended) in this heat. Isn’t God amazing to give us these BEAUTIFUL places where we can see just how He is?! I have a friend who lives in Alaska and she sends pictures all the time. I am fortunate to live in a state where God’s beauty can be seen in many ways just by driving a little bit. He truly is amazing! I think every place on earth has something of God’s beauty, if we’ll but look. Even man-made structures have a certain beauty, and while man may take the credit, it was God who gave him the idea, creativity, and ability to fulfill it. So true! Isn’t He amazing?!!!!! Wonderful reminder and gorgeous photo! Alaska is high on my bucket list of places to visit, and I’d love to cruise up the inside passage. Yes, our God is mighty. That trip was definitely on the bucket list. My husband and I went for our 25th wedding anniversary. And the cruises are a bit pricey, but so worth it. Lovely picture. I hope you will share others with us. Yes, it was cold, but I live in northern Utah and it was cold here, too, so I didn’t notice too much difference. I suggest an excursion. The cruise ships cannot get as close, like we were, because of the depth and narrowness of the fjords. 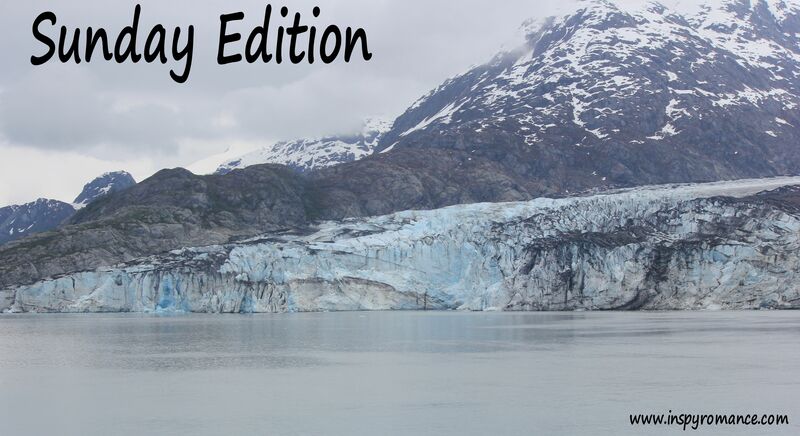 Our cruise ship docked in some city (I don’t remember which), and we took a smaller boat and traveled very close to the glaciers–like through some of the floating ice that had fallen off. Next week, if I remember, I’ll post a picture of the seals we saw. One had recently given birth (perhaps minutes before we arrived). It was pretty gruesome, but awesome at the same time. Our guide, a naturalist, was super excited as it was something she’d never seen so soon after. Ginger, thanks for the suggestion! I’ll be sure to let my husband know this. We want the BEST experience we can possibly get out of it :-) I look forward to more pictures! Congratulations winners! So many good looking books coming out too!